According to an article in The Boston Globe, there is a so-called “polite” burglar on the loose. 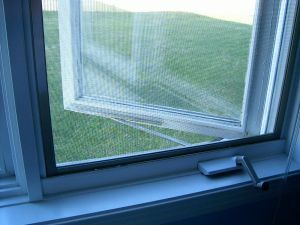 The article states that a man has broken into a number of Middlesex County homes via windows on the first floor or basement. Sometimes the homes have been occupied at the time of the break-ins, but the police also believe that the man has broken into unoccupied homes as well. On the occasions when the homeowner was present, the man has apologized for breaking in. His behavior has been the same each time and he has not harmed any residents as of yet. The police, however, are concerned by his behavior and have told residents to consider him to be dangerous. Woburn Police Chief Robert Ferullo, Jr. specifically issued a statement saying that the man “is a dangerous felon who breaks into people’s homes, often while they are asleep inside.” The man has been described as a dark-skinned Hispanic or light-skinned African American male in his early 20s, about six feet tall with black marks or acne scars on his face. Despite the strongly worded statements by the police, were law enforcement to actually apprehend the man, there seems to be a serious question as to what they could actually charge him with. For a charge of breaking and entering to issue under G. L. c. 266, § 16, the police would have to demonstrate probable cause to believe that the following elements were met: (1) that the defendant broke into a building; (2) that the defendant entered that building; and (3) that the defendant did so with the intent to commit a felony. Given the fact that there is no indication that the man has ever attempted to harm anyone in the homes, taken any property from the homes, or damaged any property from the homes, there seems to be a fairly strong argument that the third element of the offense could not be met. Likewise, for a charge of burglary to issue under G. L. c. 266, § 15, the police would have to demonstrate probable cause to believe that the following elements were met: (1) that the defendant broke into a house; (2) that the defendant entered the house; (3) that someone lived in the house; (4) the entry was at night; (5) the defendant entered the house with the intent to commit a felony; (6) the defendant was not armed; and (7) the defendant did not assault any person lawfully in the house. Again, given the fact that there is no indication that the man has ever attempted to harm any person or property in the homes, there seems to be a fairly strong argument that the fifth element of this offense could not be met. While the allegations do appear to support a charge of criminal trespass under G. L. c. 266, § 120, which only requires that the police demonstrate probable cause to believe that: (1) the defendant did not have the right to enter a house; (2) that the defendant knowingly entered the house; and (3) that the defendant was forbidden to enter the house of another person with lawful control of the premises, such a charge is a misdemeanor, and carries a relatively low potential penalty (30 days in the house of correction). If the “polite” burglar is caught, however, it seems unlikely that the police and the prosecutor will merely seek trespass charges – particularly in light of the fact that the man has already deemed to be “dangerous” and a “burglar.” If and when this man is caught, he will need a defense attorney who is able and willing to stand up to overstated charges and to make sure the court understands the actual magnitude (or lack thereof) of any alleged infractions. Attorney Daniel Cappetta is a skilled defense attorney who does not shy away from challenging the Commonwealth and standing up for his clients, no matter what the charges, or how his clients are characterized. Call him for a free consultation today.